Can you still get McDonold's stuff? Swap Force will probably be added after release. Dark when are you going to add Swap Force?? Yeah, man. But, All off-topic comments will be deleted. Please do not use the comments system for conversations, instead use the provided forums for the game. Posted Image: http://Pop Fizz Is Awesome ! Well, at least a Skylanders movie is in planning. spyrobeta, Kingdom is not a "cancelled" game, just "replaced by [insert game here]" or "planned but not completed". 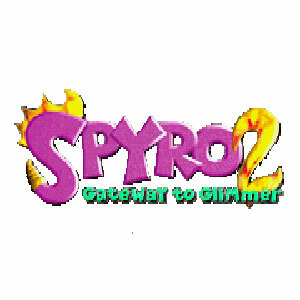 Also could be "un-Spyro" which is actually why "Spyro's Kingdom" got replaced/uncompleted. It evolved into the first Skylanders game. It should not have an article, for it's Skylanders now, and never "cancelled", just replaced/uncompleted. I like spyro I mean really like.Ireally like all the spyro games too. i wanted to see a spyro movie!! IT'S NEVER BEEN MADE/FINNESHED/I DON'T CARE?! i have skylander giants and the 1st skylanders xD andi agree with supersonic3315 there really should be a movie! Malefoe132: I hate Skylanders too but I don't write it everytime someone says they like it. They like Skylanders like we like the other Spyro games. I love Spyro and I wish they would make more than Skylanders but that didn't happen. I don't want to sound negative but I think there done with the two series. We had him in our lives when we were young, and now we're older now. Let some of the young kids enjoy him as much as we did. Yes, his different than before but young kids like him. Sorry but I had to point that out to you.